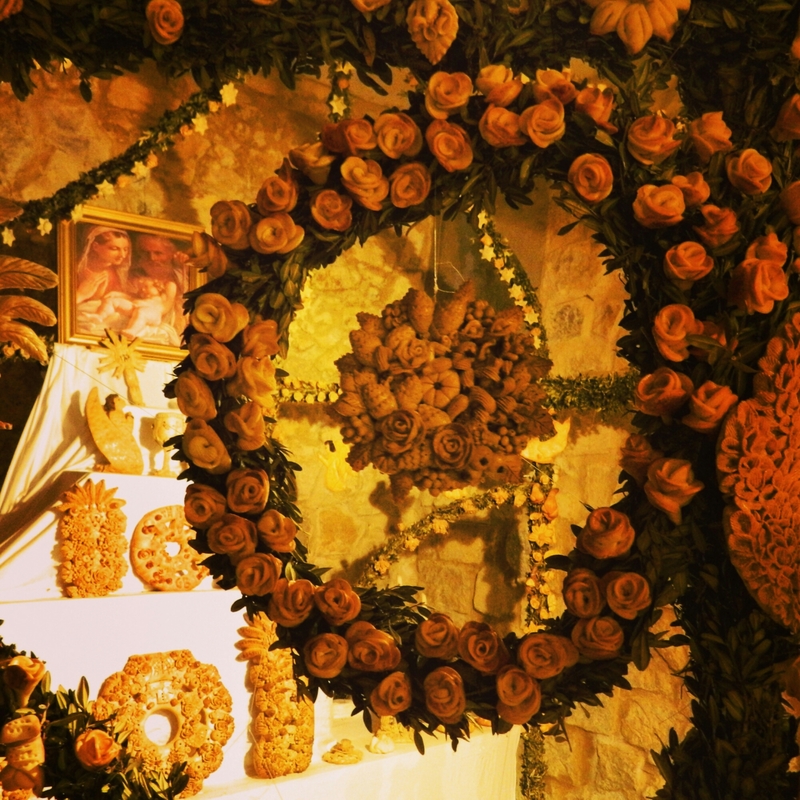 This beautiful wreath is part of an altar in Salemi, Sicily that was made for St. Joseph’s Day. Let’s make something similar together! Join me on Sun. March 12 and Sun. March 19 in New York City for two events celebrating one of Sicily’s most important holidays, St. Joseph’s Day. Includes a full prix-fixe lunch, live music, and artisanal products from Sicily for sale by Gelsomino Imports.